Any property has to be priced according to the market. It does not matter what I, you, or your friends think the value of your property is. The market is the only thing that determines what your property will sell for. We advise our sellers on the Market Price of the property using several analysis tools. We are in charge of marketing the property and use numerous ways to get your property in front of as many potential buyers as possible. 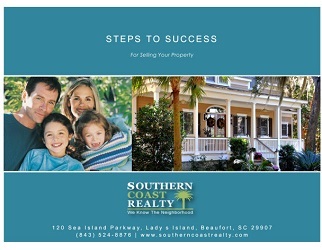 Is the first step in marketing a property. The better it looks the faster it will sell.Even the smallest improvement can make a big difference in how buyers perceive your property. Whether it is raw land, a building lot or a house.......focusing on the property's positive attributes and doing what you can to highlight them is key to making an impression on a buyer without spending too much money. We have the expertise and the experience to be able to advise you on where to not spend money and where to focus instead. 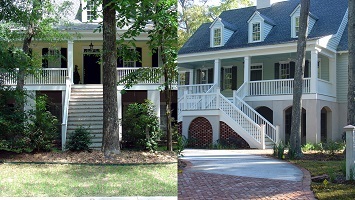 If you like, we offer turn-key help so you can relax and leave the work to us.Below are a few of our past projects. Most of our clients were able to sell their property much faster after we made some some changes. 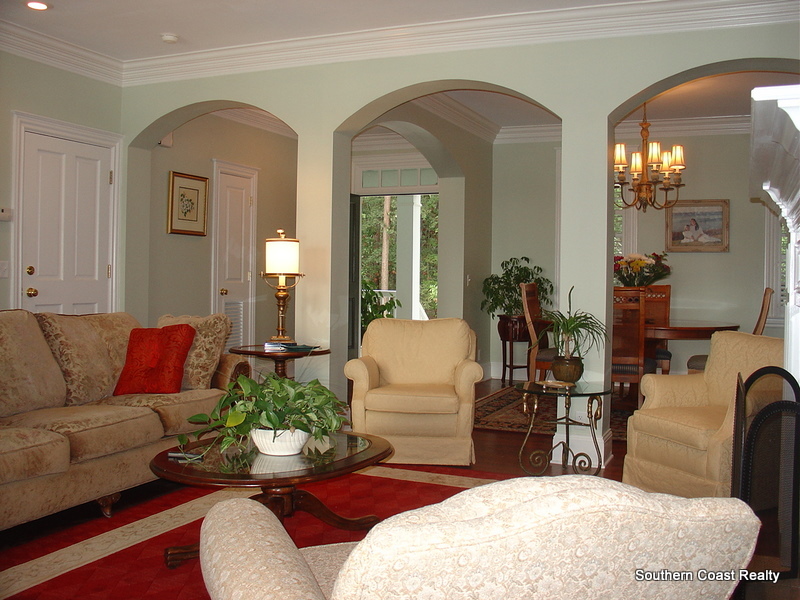 De-cluttering, proper furnishing placement, adding color and making it shine are the basics of staging a home to sell. 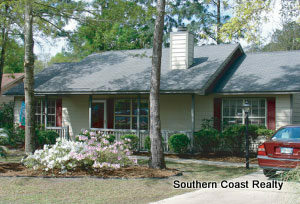 This high bluff tidal creek home in The Islands Of Beaufort was almost new and well built by a reputable builder. 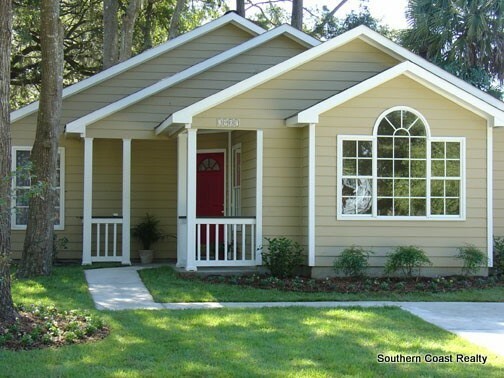 With mistakes made to the floor plan, exterior architectural mistakes and the landscaping unfinished it would not sell. After being on the market for over a year the seller dropped the price. The property was quickly purchased. 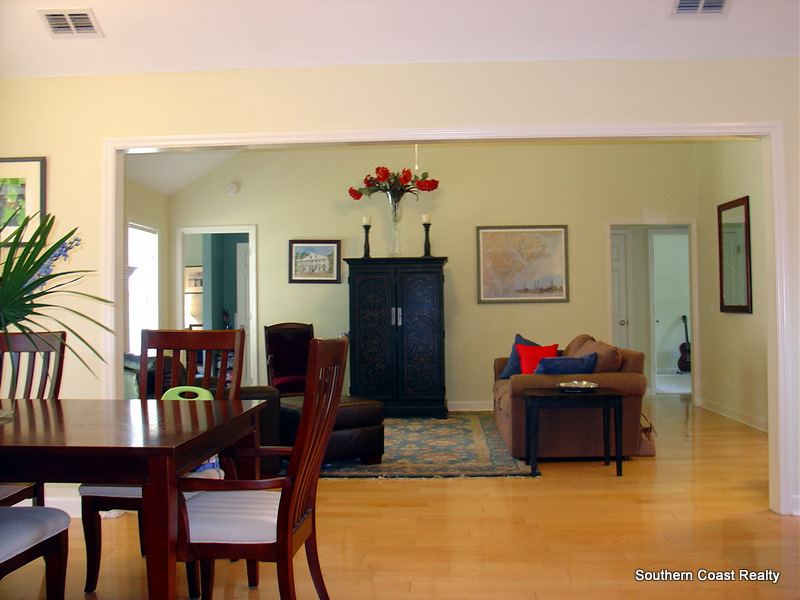 We remodeled the home and now it is one of the finest in the neighborhood. 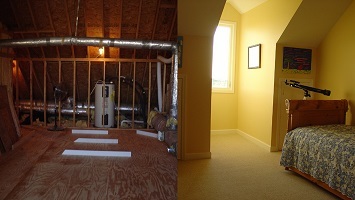 Below are some before and after photos of just a few of the projects we have managed. This property was overgrown, low lying and hardly accessible. We cleared, filled and landscaped. 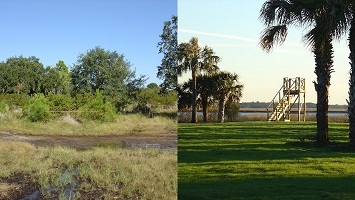 It is a 12 acre beautiful property on a private peninsula on the deep waters of the Morgan River. Well worth the effort to make it a beautiful waterfront estate. 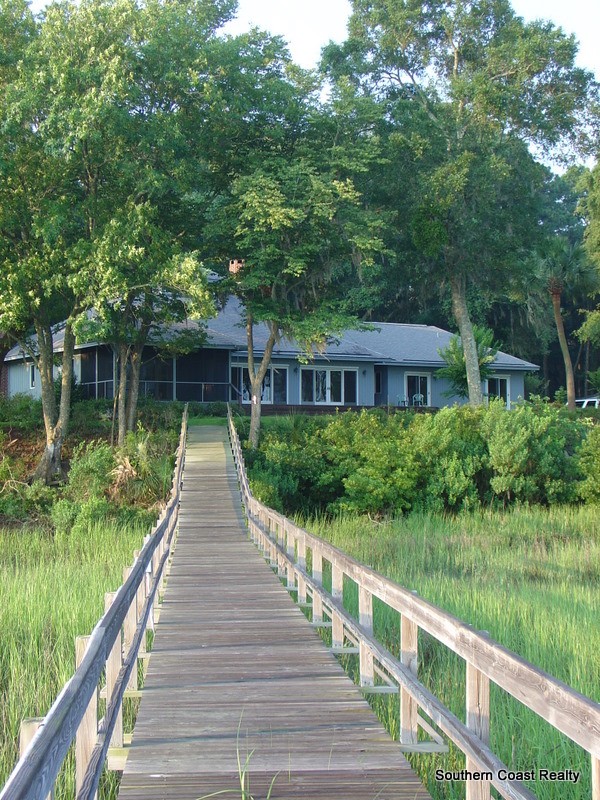 This home is located on Harbor Island on the marsh overlooking the Johnson Creek Inlet and the Atlantic Ocean. We added dormers and 2 bedrooms and 2 bathrooms on the second floor along with interior and exterior painting. This project has two stories. 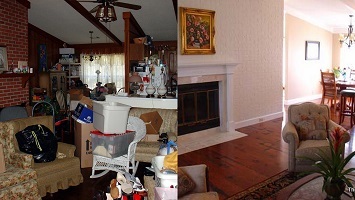 The first pic is by far the extreme example when it comes to clutter when your trying to sell a property (always de-clutter!). The second point is, we were able to see past all that clutter and buy this home ourselves for resell. Give me vaulted ceilings and a lot of large windows to work with and I can make any home look great. The last picture is the same room you see in the first picture!! !